Home Analogue lifestyle Is Brie Larson about to cause the next film camera price spike? By now we’re used to the celebrity effect causing price spikes to certain high-end compact cameras. The namechecking of cameras such as the Contax T2 and T3 by the like of Kendall Jenner, rapper Drake and actor Chris Hemsworth has seen prices for these cameras soar. (As Kosmo Foto has previously reported, one London camera shop currently wants £1,900 for a T3). Another celeb, it turns out, know their way around a film camera, and this one is a decidedly less exclusive model. A tweet from actress Tracee Ellis Ross on Wednesday (6 February) showed Ross and Larson laughing together at an event, with Larson holding a film camera in her hand. The camera isn’t an exclusive premium compact, nor a classic rangefinder (like the Leica M3 Larson sported in recent film Kong: Skull Island). It’s a Nikon FM10, a budget-friendly all-manual SLR produced since 1995, and possibly still in production. 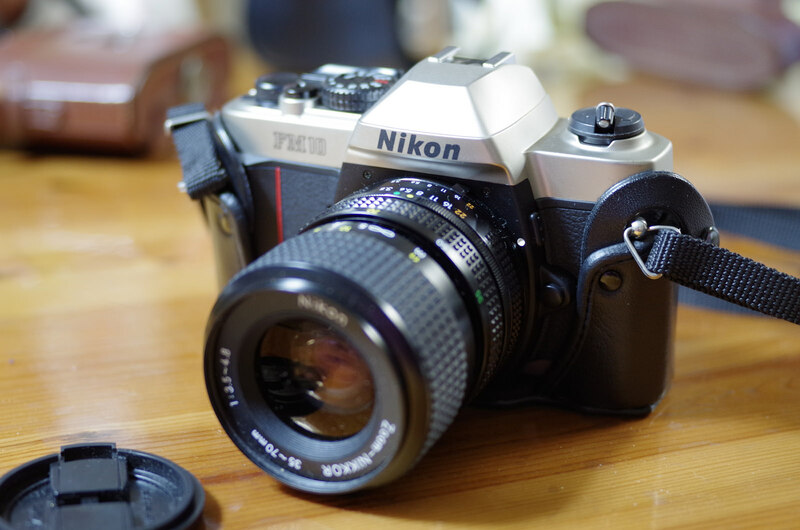 The FM10 is a mostly plastic SLR that usually gets sold with an entry-level manual zoom; it was built in reaction to an emerging Asian middle class that wanted the Nikon name but didn’t necessarily want to pay Nikon prices. Nikon cameras, after all, have often been excellent but rarely been cheap. Cosina has some serious track record in this regard; a number of entry-level SLRs, from the Canon T60 to the Yashica FX-3, the Olympus OM-2000 and various Vivitar SLRs from the 90s and 2000s. The FM10 can be snapped up for around £40 on eBay (little more than $50) so even if the price quadruples thanks to the hand of Larson. It’s still eminently affordable. The appearance of the Yashica Electro 35 in 2012’s ‘Spider Man’ led to a spike in prices for this not-exactly-rare-but-quality camera (more than two million Electro 35s of various marks were made). Could Cosina’s plastic fantastic be about to enjoy the same fate? OK, it’s conspiracy time. What if a camera manufacturer put a recently discontinued, yet quite widely available film camera in the hands of a famous young woman, and then paid a lot of attention to the price of said camera on popular auction websites? What if that manufacturer had a price in mind at which it would be profitable to restart production on a small scale? I have an FM-10 body in my cupboard. I think I bought it as a lens cap. Have never put a film through it. I could make a killing here. maybe this is the Sign From God that I should buy that Nikon SP I’ve been lusting after, before the prices get even more ridiculous………..